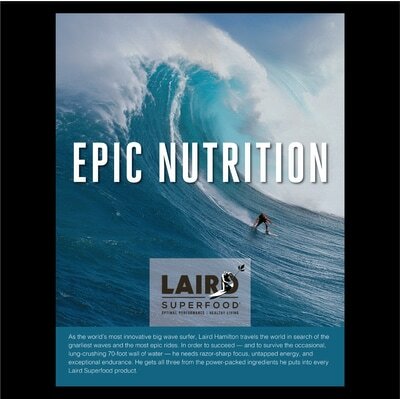 Laird Hamilton started Laird Superfood which creates Peruvian blend coffees and organic creamers that are good for you. 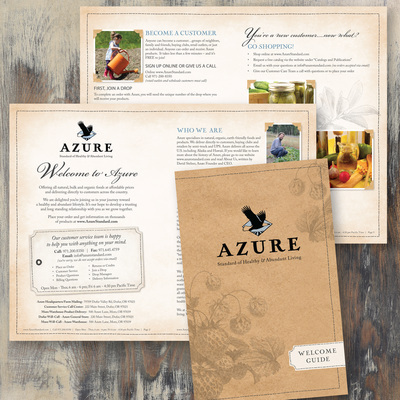 I worked with John Furgurson from BN Branding to design packaging, update their logo and sales catalogue. 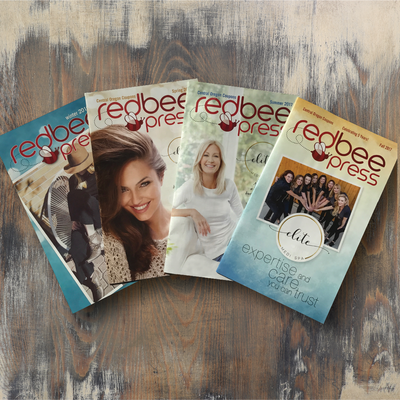 Red Bee Press is a quarterly 56 Page Coupon Book - I design every coupon, and create all 56 pages. 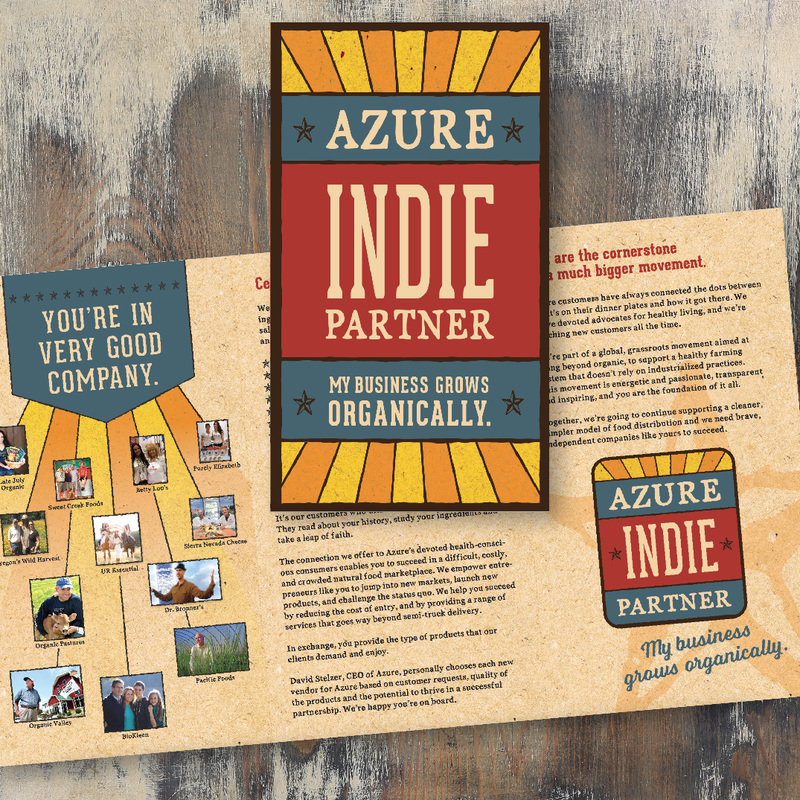 I work closely with 150+ clients creating their ads. 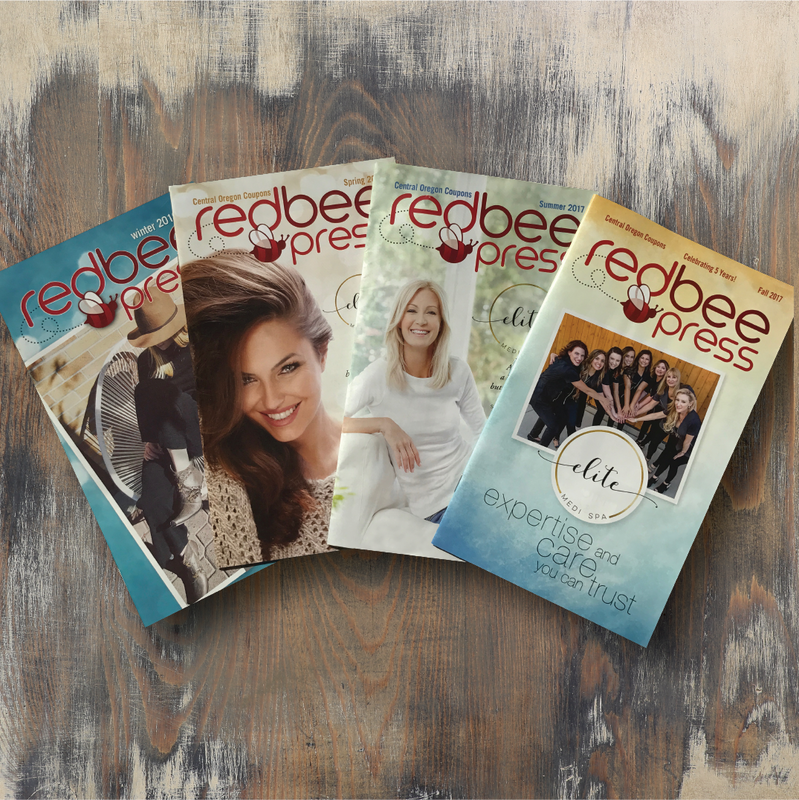 I have been working for RBP since they started in 2012. 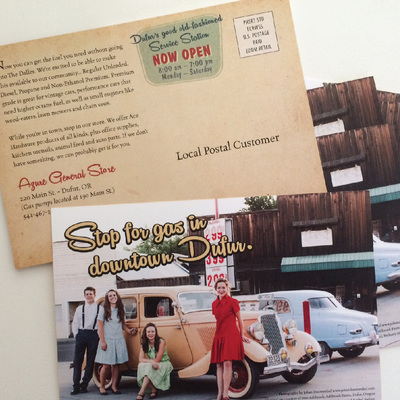 Azure Standard in Dufur, Oregon has a new old fashioned small hometown gas and market smack dab in the middle of town. 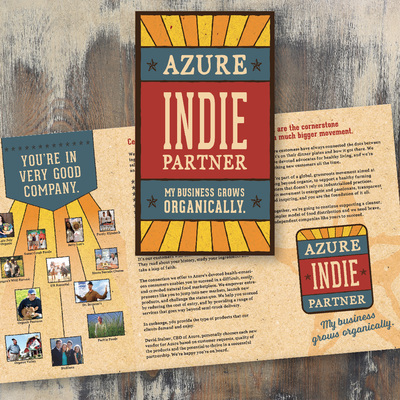 We wanted to convey the vintage "good quality" appeal. 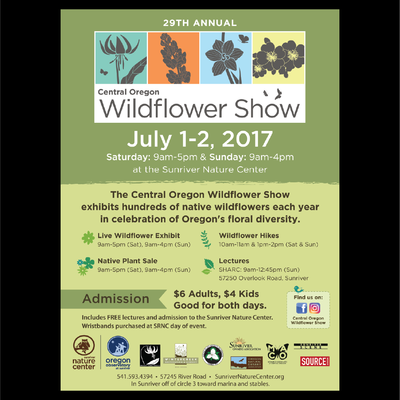 Standing Banner 36" x 76" for Deschutes National Forest. 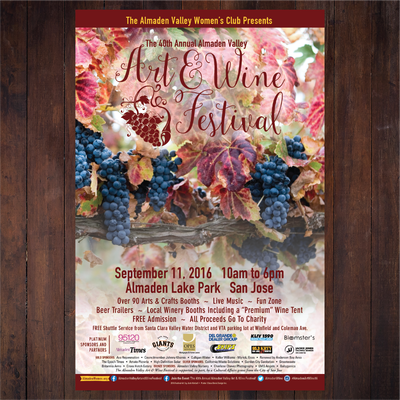 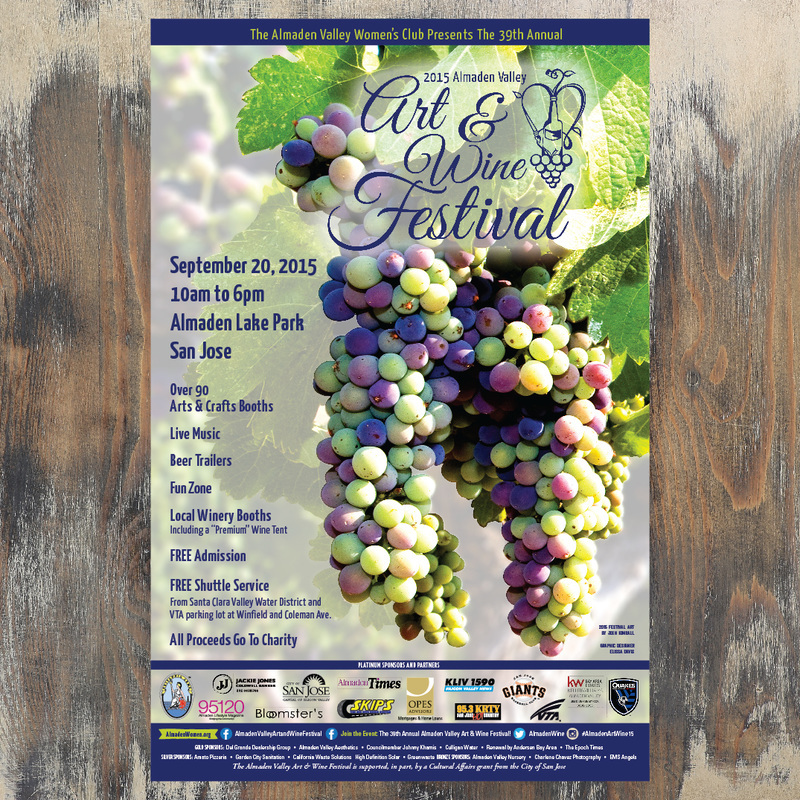 Almaden Valley Women’s Club - Art & Wine Festival Poster. The first part of their project consists of creating a logo out of a high school students drawing for the wine festivals main logo and using a featured photo for the poster art while at the same time creating inviting graphics. 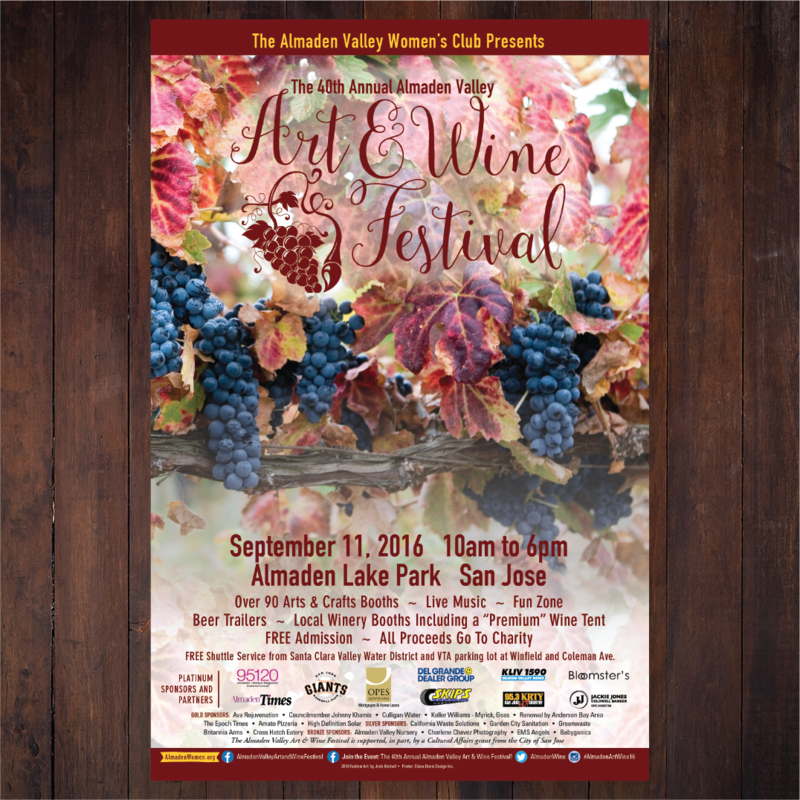 Almaden Valley Women’s Club is a non-profit group that stimulates interest in the social, civic, and cultural improvements for Almaden Valley California. 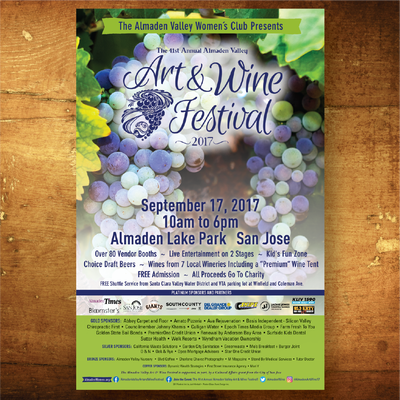 The first part of their project consisted of creating a logo out of a high school students artwork for the wine festival. Then they needed print collateral for their Art and Wine Festival in the form of a poster, advertising, bus tail signage, 4 page brochure, a website banner, beer and wine glass art. 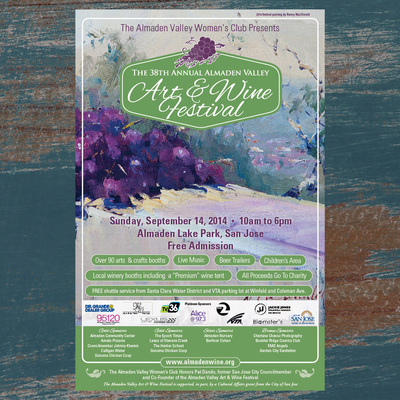 Additional requirements for the project included incorporating the oil canvas featured in the background as seen in this poster as prominent as possible on all pieces of collateral. 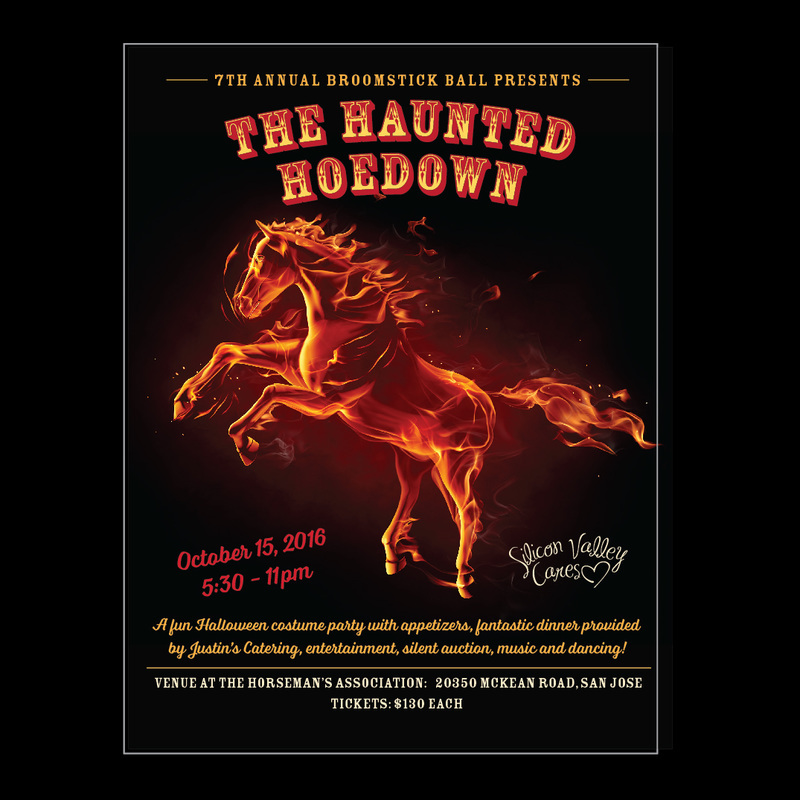 Silicon Valley Cares is a non-profit group of women dedicated to creating entertaining events that benefit local charity organizations. 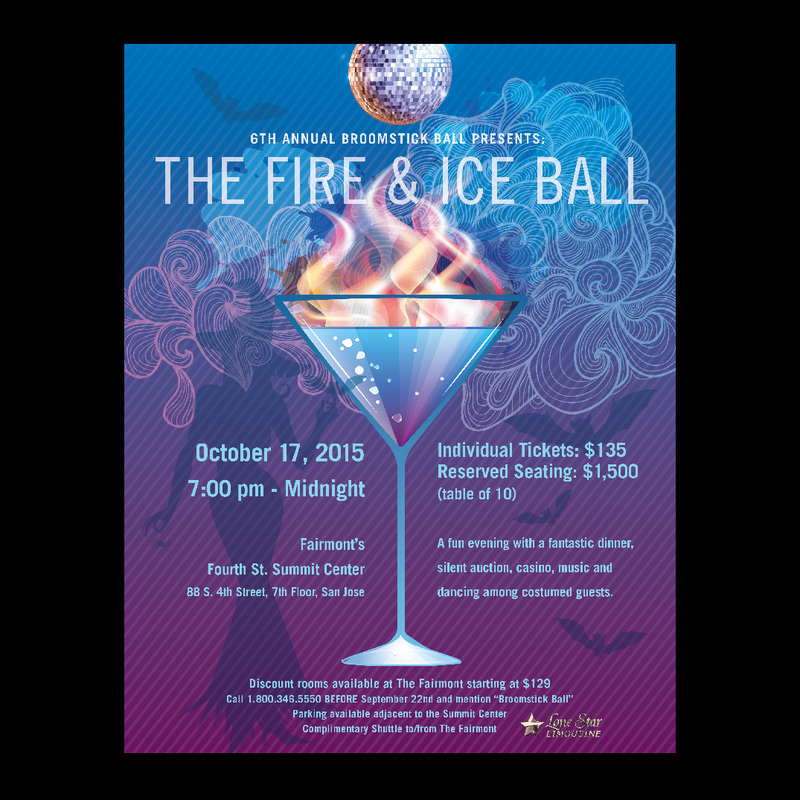 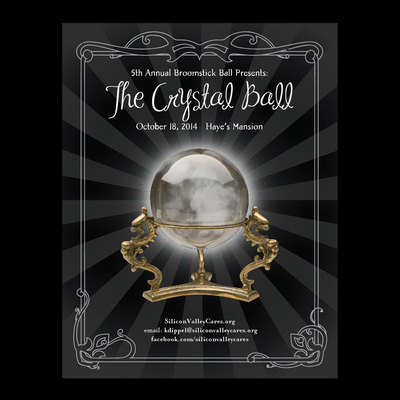 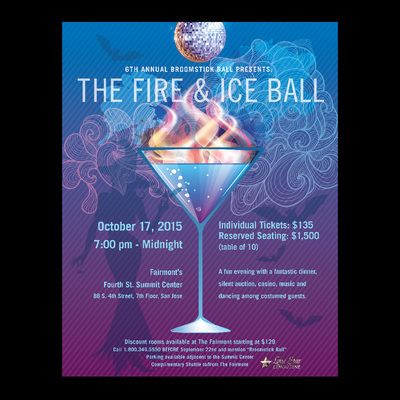 The Broomstick Ball is a fun annual event that helps raise money for Silicon Valley Cares charities. 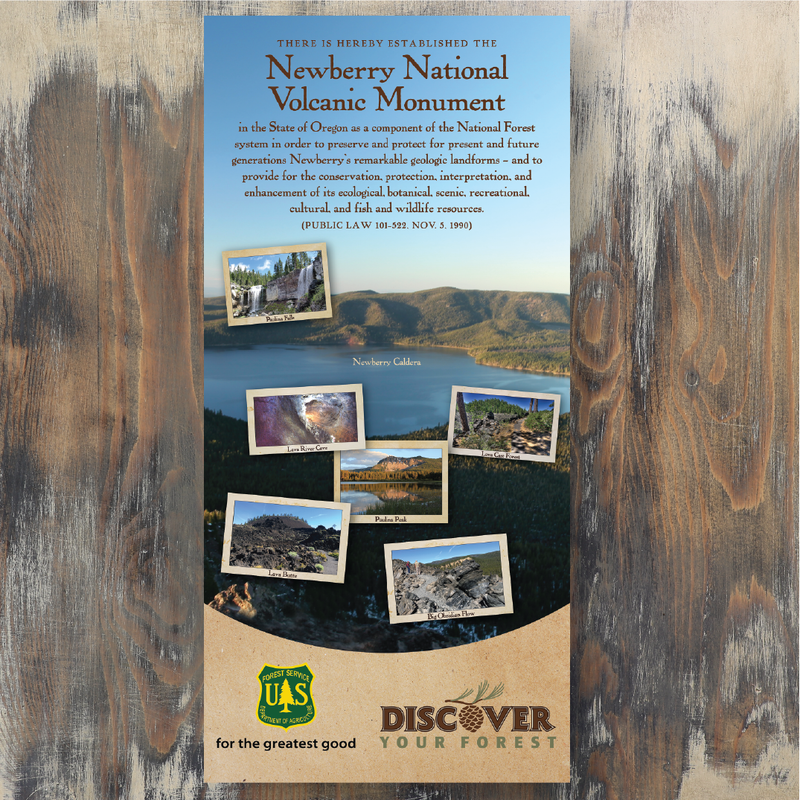 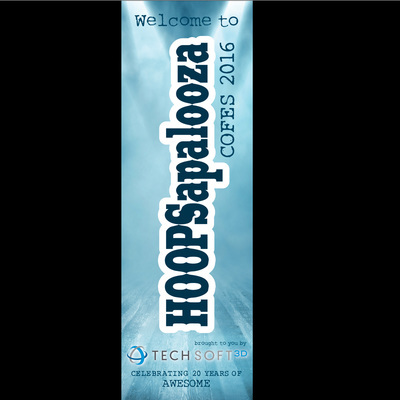 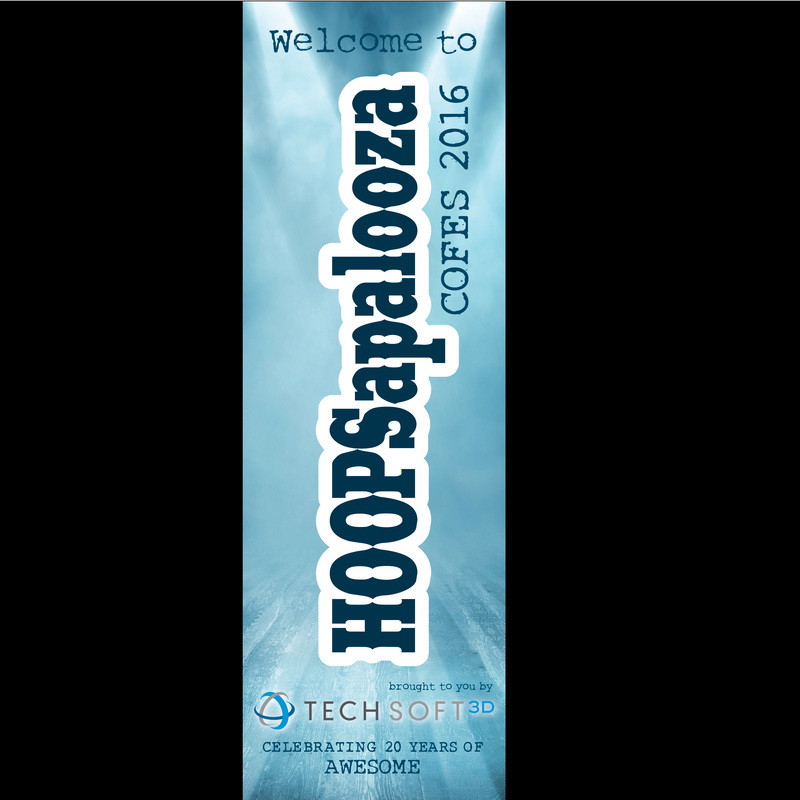 This project encompassed creating the logo, poster, brochure, postcard invite, email marketing graphics, event signage and web graphics. Silicon Valley Cares is a non-profit group of women dedicated to creating entertaining events that benefit local charity organizations. 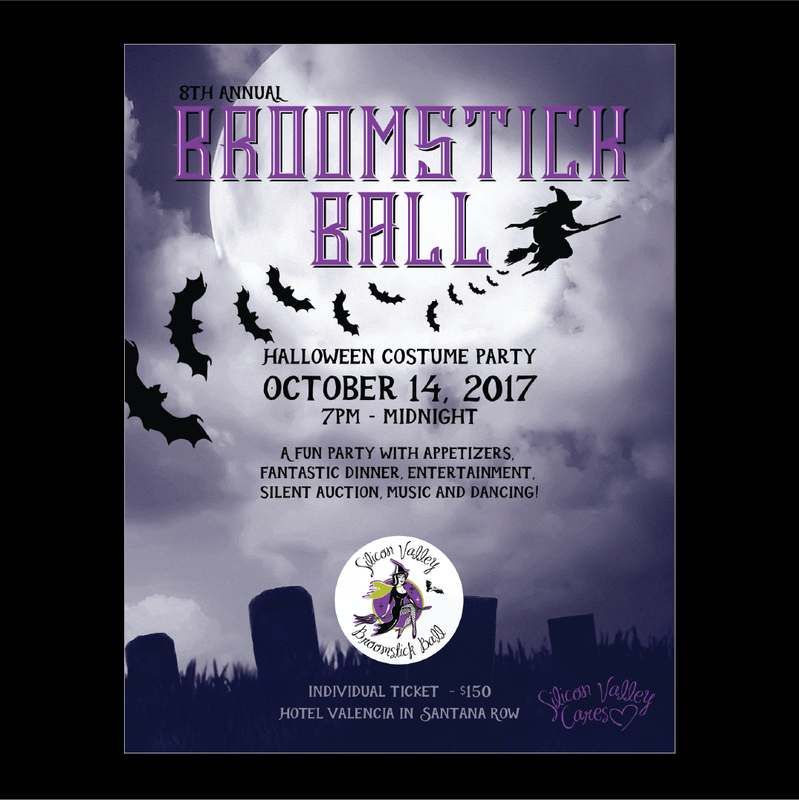 The Broomstick Ball is a fun annual event that helps raise money for Silicon Valley Cares charities. 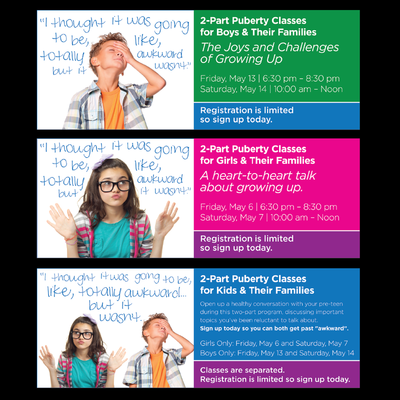 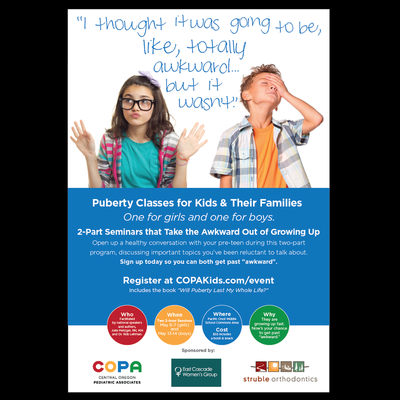 This project encompassed creating the logo, poster, brochure, postcard invite, email marketing graphics and web graphics. Silicon Valley Cares is a non-profit group of women dedicated to creating entertaining events that benefit local charity organizations. 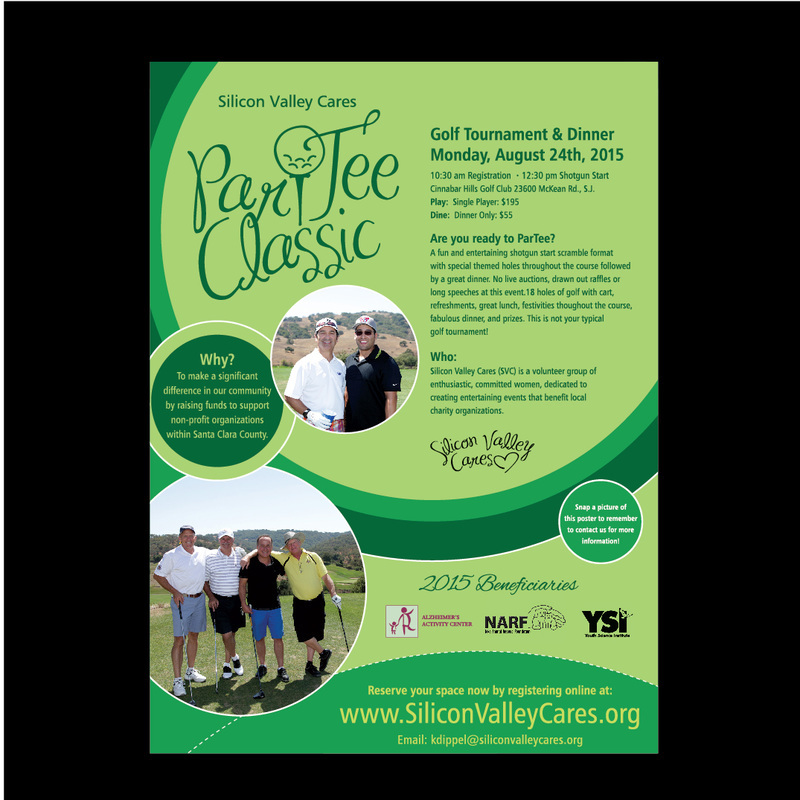 The Par-Tee-Classic is a fun annual golf event that helps raise money for Silicon Valley Cares charities. 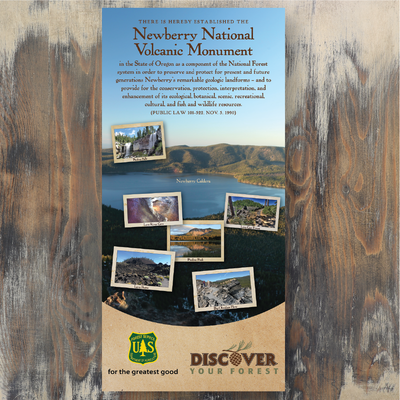 This project encompassed creating the logo, poster, brochure, postcard invite, email marketing graphics and web graphics. 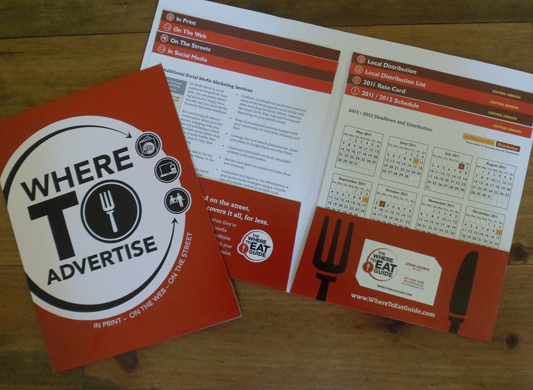 Where to Eat Guide marketing kit to promote WTEG’s all encompassing tools to advertise local restaurants in select cities. 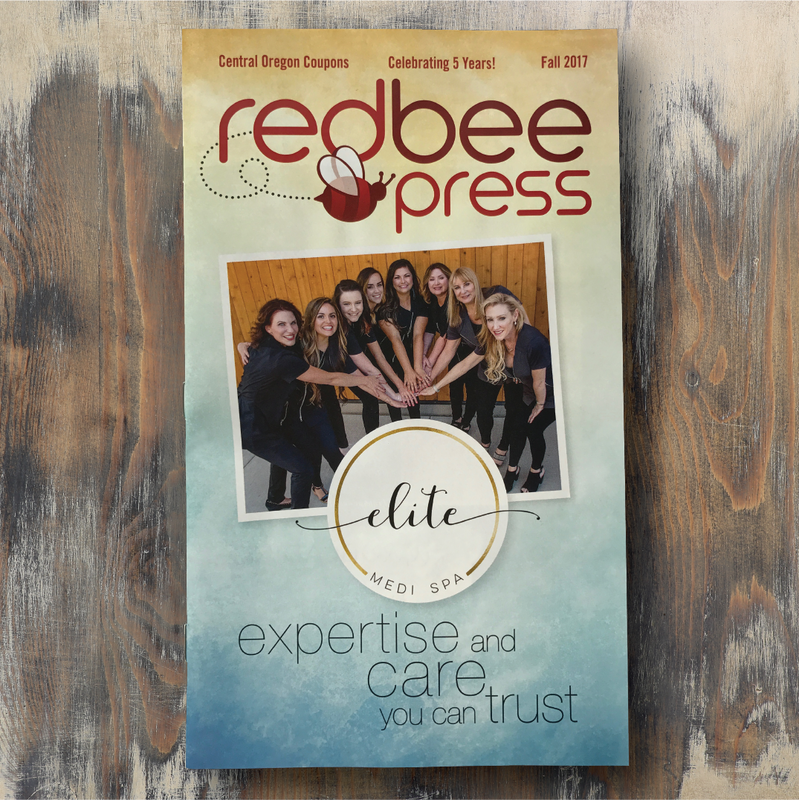 WTEG’s owner use to have a very messy binder full of materials that overwhelmed his clients. Armed with a new box of these marketing kits the WTEG owner targeted Seattle as his next city for his guide and he sold out in a week. 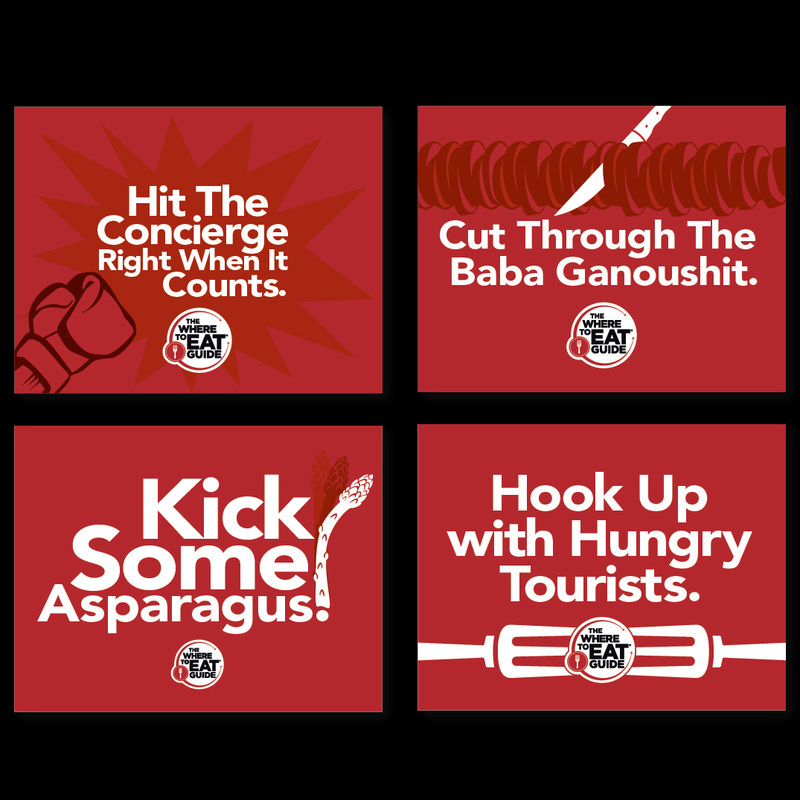 Where to Eat Guide wanted an additional marketing tool to attract clients. Postcards were created with some brilliantly funny copy and not so subtle graphics that get the message right in the clients hands. The postcards stagger weekly in the mail to peak the clients interests. 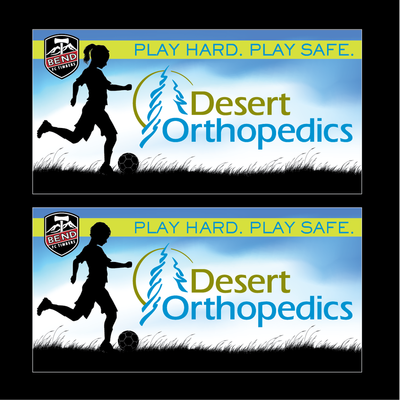 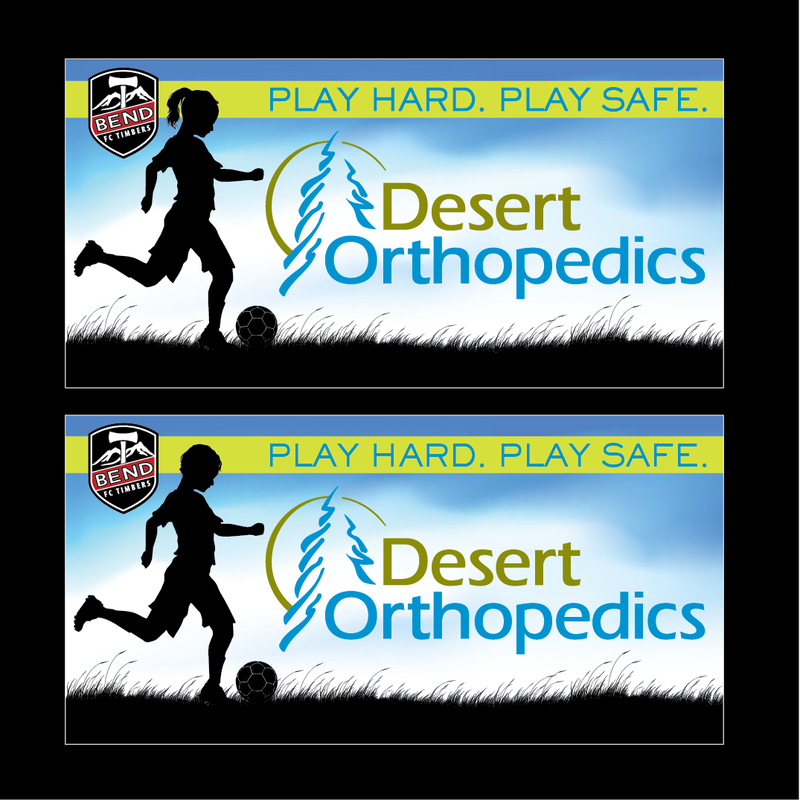 Outdoor Tent Banner Graphics - Desert Orthopedics would swap them out to match sport events. 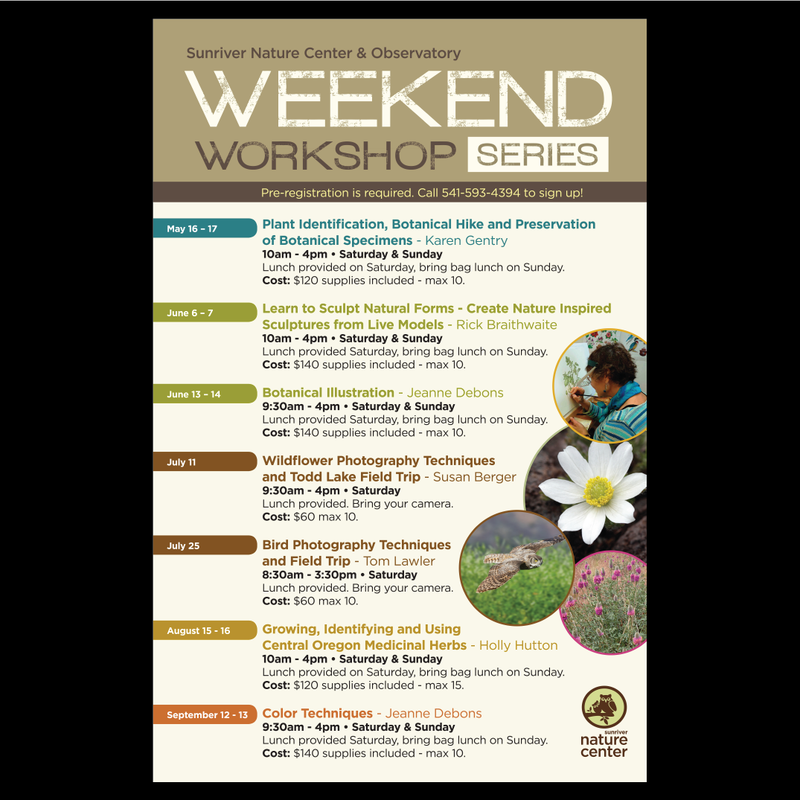 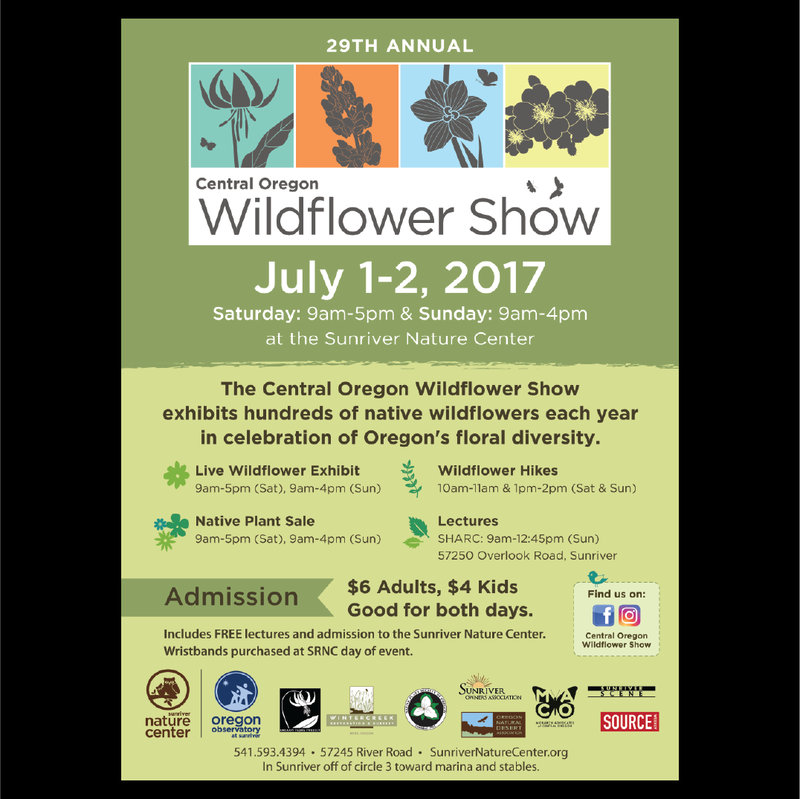 Annual Wildflower Show Poster for the Sunriver Nature Center. 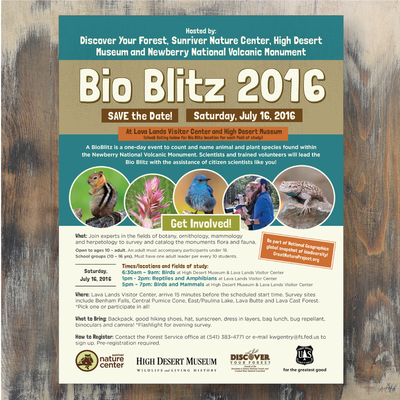 Flyer for Deschutes National Forest. eBay’s business system emulated the fun aspect of eBay. 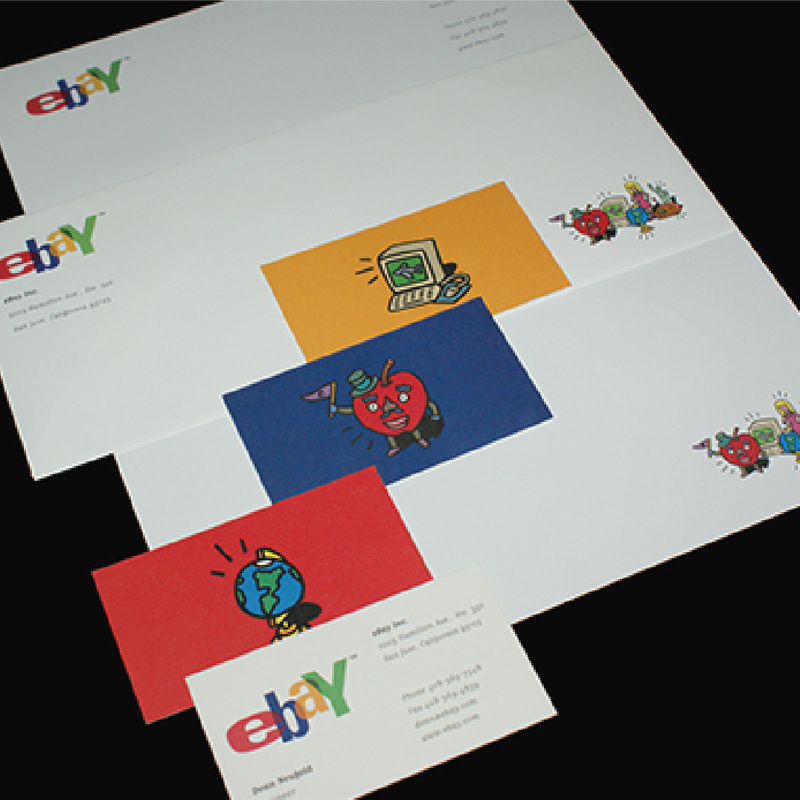 I thought of a fun family/community and decided to use illustrations by Steven Schudlich to symbolize the wacky products you can buy online. 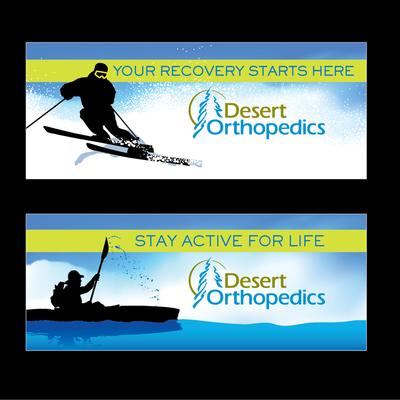 Different illustrations are on the back of each card. 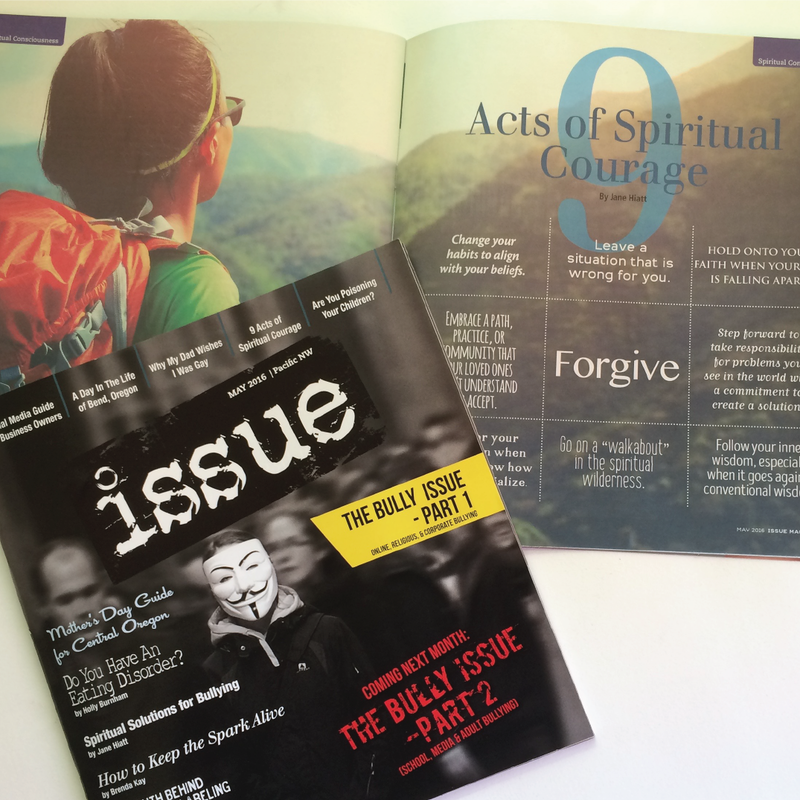 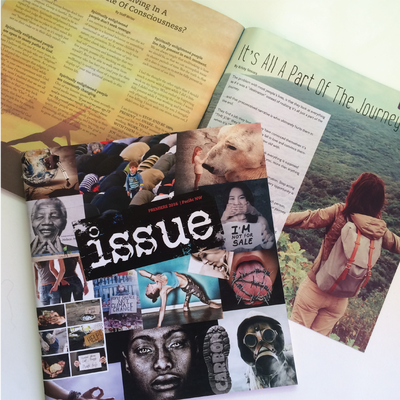 ISSUE Magazine is an 84 page start-up publication that covers hard topics, fun topics and helpful topics with a exciting edgy design. 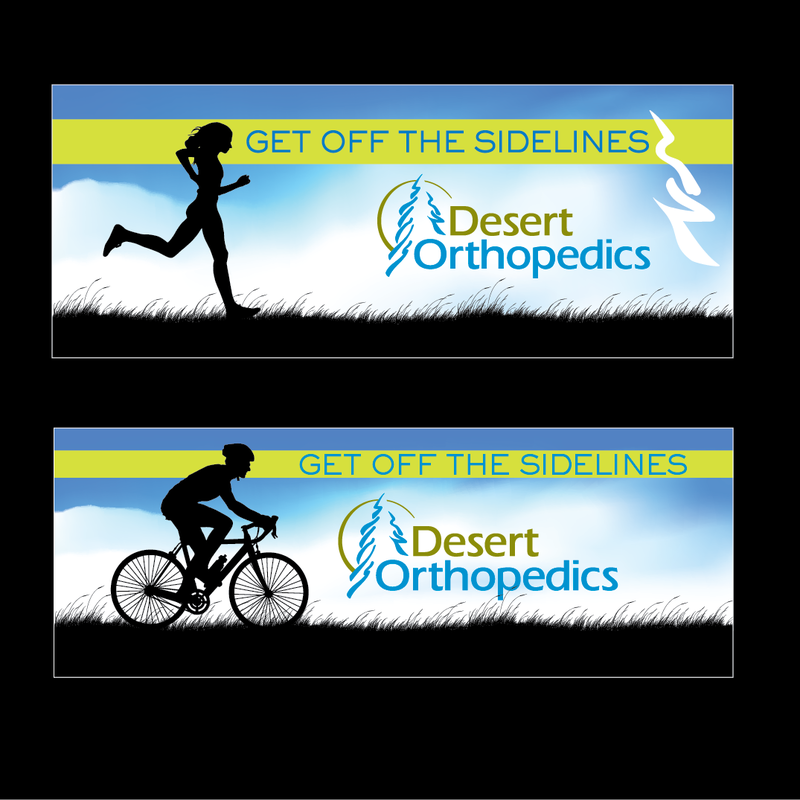 I work for a wide variety of clients. 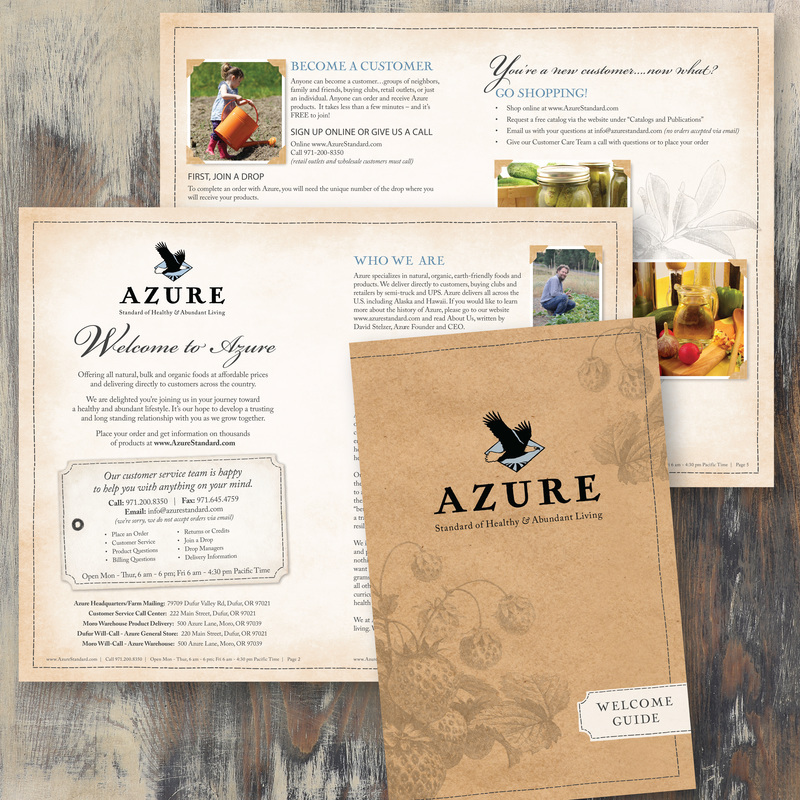 My main goal for every client is to make them happy with a strong, clean design that is going to elevate their product and company.